Isotopes: There are 31 known isotopes of nickel ranging from Ni-48 to Ni-78. There are five stable isotopes of nickel: Ni-58, Ni-60, Ni-61, Ni-62, and Ni-64. Properties: The melting point of nickel is 1453°C, the boiling point is 2732°C, specific gravity is 8.902 (25°C), with a valence of 0, 1, 2, or 3. Nickel is a silvery white metal that takes a high polish. Nickel is hard, ductile, malleable, and ferromagnetic. It is a fair conductor of heat and electricity. Nickel is a member of the iron-cobalt group of metals (transition elements). Exposure to nickel metal and soluble compounds should not exceed 1 mg/M3 (8 hour time-weighted average for a 40 hour week). Some nickel compounds (nickel carbonyl, nickel sulfide) are considered to be highly toxic or carcinogenic. Uses: Nickel is used primarily for the alloys it forms. It is used for making stainless steel and many other corrosion resistant alloys. Copper-nickel alloy tubing is used in desalination plants. Nickel is used in coinage and for armor plating. When added to glass, nickel gives a green color. Nickel plating is applied to other metals to provide a protective coating. Finely divided nickel is used as a catalyst for hydrogenating vegetable oils. Nickel is also used in ceramics, magnets, and batteries. Sources: Nickel is present in most meteorites. Its presence is often used to distinguish meteorites from other minerals. Iron meteorites (siderites) may contain iron alloyed with 5-20% nickel. Nickel is commercially obtained from pentlandite and pyrrhotite. Deposits of nickel ore are located in Ontario, Australian, Cuba, and Indonesia. Oxidation States: 3, 2, 0. The most common oxidation state is +2. German miners seeking copper would occasionally come across a red ore with flecks of green. Believing they had found copper ore, they would mine it and take it in for smelting. They would then find the ore produced no copper. They named the ore 'kupfernickel', or Devil's copper since the Devil switched out the useful metal to confound the miners. In the 1750s, Swedish chemist Axel Cronstedt found kupfernickel to contain arsenic and a previously unknown element. We know now that kupfernickel is nickel arsenide (NiAs). Nickel is ferromagnetic at room temperature. Nickel is believed to be the second most abundant element in the Earth's core after iron. Nickel is a component of stainless steel. 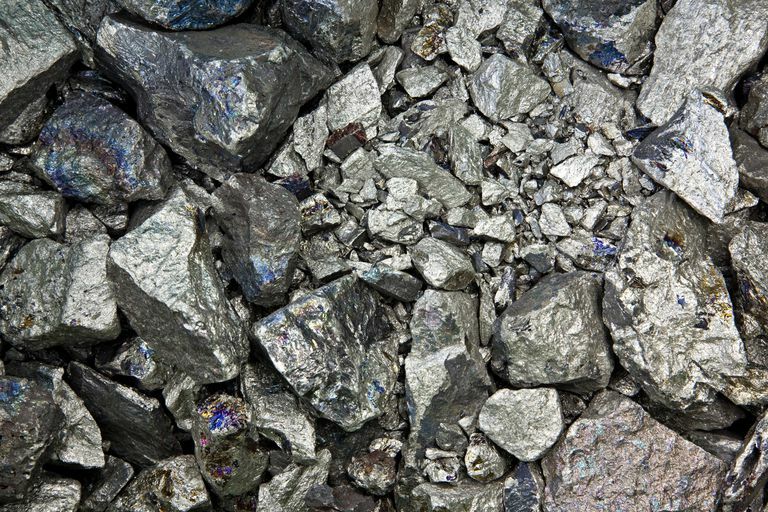 Nickel has an abundance of 85 parts per million in the Earth's crust. Nickel has an abundance of 5.6 x 10-4 mg per liter of seawater. Most nickel produced today finds its way into alloys with other metals. Many people are allergic to nickel metal. Nickel was named the 2008 Contact Allergen of the Year by the American Contact Dermatitis Society.